High-gloss simulated leather featuring an embossed croc design. Matching mouse pad included to complete your desk decor. 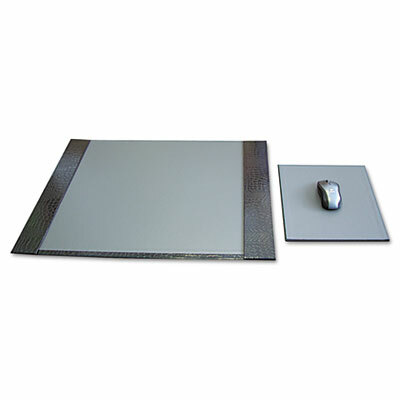 Eco-friendly high-gloss simulated leather desk pad featuring a deep crocodile embossed texture. A high-impact, low cost leather alternative. Offers a scratch-resistant, smooth writing surface. Colorfast and moisture resistant. Matching mouse pad included to complete your desk decor.